I’m a British actress born in 1939. I’ve appeared in over 100 films and TV appearances. 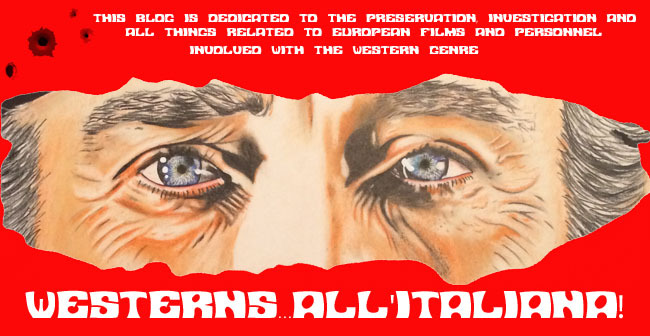 I appeared in only one futuristic Euro-western in 1977. 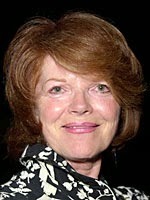 William Connolly correctly identified this week's photo as that of Samantha Eggar. Demeter Bitenc was born in Ljubljana, Slovenia on July 21, 1922. Birtenc began his acting career during the Second World War and later, with great passion became a film actor, today he is still seen but in minor roles. but being in his 90’s it is not an option. His philosophy is simple: "I'm still here, still alive, still playing." This year he will celebrate his 70th years in the profession. During this time he has gained an extensive list of film, television and theater credits, but his first great love, is film, because, he says, he was offered the freedom to choose roles." In theater, the players usually are collectivists, but I'm really an individualist at heart," he explains. His career spans more than 140 roles in feature films and more than 80 TV films and series. Before that he started his career in 1943 as an actor, He started in Ljubljana Drama and was there until in 1954. Then he moved to Belgrade. In 1960, he left the company an became an independent artist. That's when he worked for the Germans signing a contract for three films, and began what was for those times great adventure, a great hazard, but it paid off. He was often seen playing German military officers. 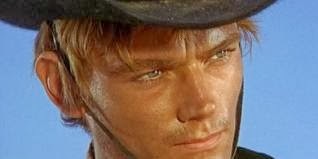 Like many actors during the 1960s he had to learn to ride a horse which came in handy when he made his Euro-westerns. Still active he will appear in a TV series this year entitles “Zivljenja Tomaza Kajzerja” which is in post-production. BITENC, Demeter (aka Demetar Bitenc, Deneler Bitenc, Dieneler Bitenc, Dimiter Bitenc, Dimitri Bitenc, Mitja Bitenc, Demeter Bitenz, Dimiter Bitenz, Jovan Bitenz) [7/21/1922, Ljubljana, Slovenia – ] - TV actor. José López Sepúlveda Garrido was born on February 28, 1909 in Madrid, Spain. His professional life was as an actor in the theater, cinema and the early days Spanish TV. From the 1930s he began his wanderings through Spain’s theaters at a time when the interpretation was not easy and the media was even less so, many of these tours took place with his wife, actress Josefina Serratosa. Throughout his theatrical life he is booked into the best theaters, including Las Meninas, Antonio Buero Vallejo and the Teatro Eslava. With the arrival of television in Spain, we find Sepúlveda playing a multitude of characters in each of the dramatic series in those early days which made many of the actors, including Sepulveda well known characters. His untimely death at age 60 did not allow him to achieve what would have been a successful television career, as José Sepúlveda died in Madrid, Spain on May 10, 1969. Today we remember José Sepúlveda on what would have been his 105th birthday. Song: “Life” sung by ? Gunman Martin Benson has a built a reputation from a sordid past but is now helping the U.S. Army dismantle a gun-running gang illegally supplying Indians with guns and ammunition. He’s captured a few members of the gang and brought them in for the law to handle but is still trying to track down the main financier behind the smugglers. When Benson's cover as an informant is learned his family becomes a target. Benson's ranch is attacked, his parents killed, his sister Jenny raped, and his other sister Susy and brother Daniel are forced to take cover in cave located on their property. One of the attackers Tony Guy is badly wounded, and Daniel insists that the man must not die because he can reveal vital information about the other bandits. As Susy fends off unwanted advances from a stubborn businessman Graham, Martin tracks down the gun-runners while fighting off a succession of ambushes trying to eliminate him. When Tony begins to recover he reveals the real leader of the gang in payment for the Benson’s saving his life. Giorgio Arlorio was born on February 27, 1929 in Turin, Piedmont, Italy. 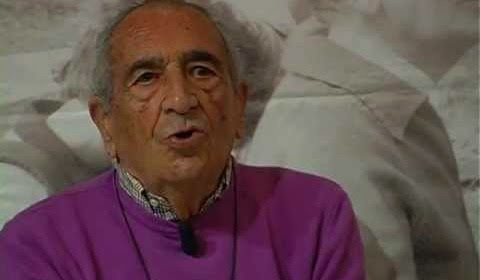 Arlorio worked as a director, assistant director, and actor but was known mostly for his screenplays for films such as “The Golden Arrow” (1962), “Burn” (1963). As far as Euro-westerns he wrote the story for “The Mercenary” (1968) with Franco Nero, Jack Palance and Tony Musante and the screenplay for 1975’s “Zorro” with Alain Delon. Today we celebrate Giorgio Arlorio’s 85th birthday. 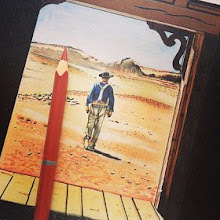 In 2014, the production of "Frontier Hellcat - The Spirit of the Llano Estacado" will be staged. The premiere is on June 28 at 8.30 p.m. The dress rehearsal will be held on Friday June 27 at 8:00 p.m. The play will be staged until September 7: every Thursday, Friday, and Saturday at 3.00p.m. 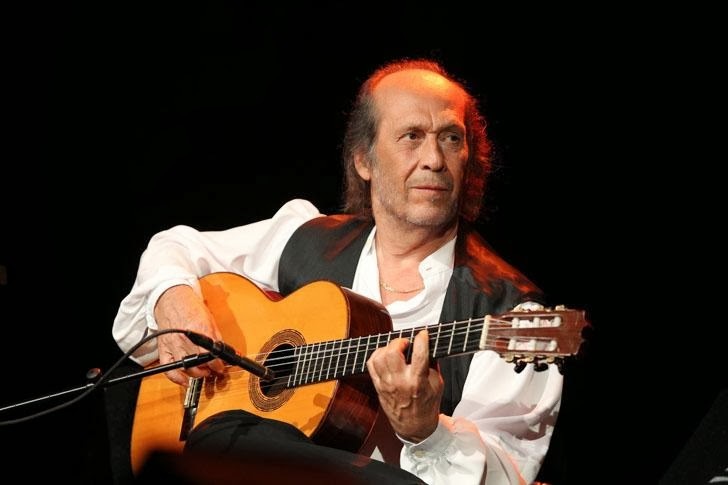 and 8.00 p.m., on Sunday at 3:00 p.m.
Spanish flamenco composer and guitarist Paco de Lucia (Francisco Sánchez Gómez) died of an apparent heart attack in Cancun, Mexico. He was 66. Born Francisco Sánchez Gómez, he was the son of flamenco guitarist Antonio Sanchez [1908-1994], who was of Gypsy origin, took his stage name in honor of his mother, Lucia Gomes. He was the brother of guitarists Ramón de Algeciras [1928-2009], and musician singer Pepe de Lucia [1945- ]. Paco formed the band ‘Paco de Lucía Sextet’ in 1981. He is credited with transforming the folk art of flamenco into a more vibrant modern sound. Paco had a cameo role as the guitarist seen on the veranda in “Hannie Caulder” (1971). Paolo Ferrari was born on February 26, 1929 in Brussels, Belgium. Ferrari debuted at the age of 9 on radio EIAR with a program in which Paolo interprets tales. In 1955 he participated in the Radio Red and Black No. 2, with Nino Manfredi and Gianni Bonagura. He was very active in film dubbing from the late forties dubbing the voice of David Niven in “Stairway to Heaven” (1948 ), Franco Citti in “Accattone” by Pier Paolo Pasolini and that of Jean-Louis Trintignant in “Il sorpasso” by Dino Risi. In 1959, after taking part with Vittorio Gassman and Marina Bonfigli (who had married three years earlier) in the RAI television program ‘Il Mattatore’, led the Yellow transmission ‘Giallo club. Invito al poliziesco’. The following year he presented together with Enza Sampò the Italian Song Festival in Sanremo. An actor with theatrical training he participated in the 1970s in numerous dramas and television miniseries, including one dedicated to Nero Wolfe, in the role of Archie Goodwin alongside Tino Buazzelli, and ‘Accadde a Lisbona’, alongside Paolo Stoppa. Ferrari became popular in the 1960s appearing in television commercials for Dash detergent. He was one of the stars of the hit television series ‘Orgoglio’, which he appeared in all three seasons. He was part of the cast of the soap opera Rai ‘Incantesimo 9 e 10’ where he starred alongside Delia Boccardo (Tilly Nardi) as Luciano Mauri. Still active today in 2011 he was cast in the TV miniseries in two parts ‘Notte prima degli esami '82’. Today we celebrate Paolo Ferrari’s 85th birthday. He started his career in 1946 as a camera operator on “Settimana Incom”, and was for the first time as a cinematographer in the film “Morte di un amico” by Franco Rossi (1959). Later, he worked with directors such as Giuseppe de Santis, Renato Castellani, Florestan Vancini, Damiano Damiani, John Huston, Alessandro Blasetti, Pupi Avati. In the course of his film career he used various pseudonyms, including Toni Buckets, Buckets Tony, Tony and Tony Secchy Dry. 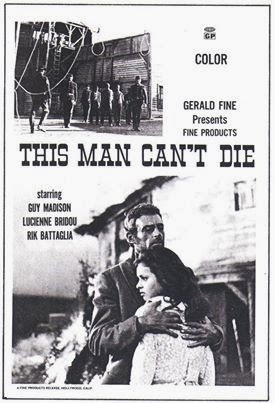 Tony was cinematographer on five Euro-westerns” “Blood for a Silver Dollar” (1965) with Giuliano Gemma, “A Bullet for the General” (1966) with Lou Castel and Gian Maria Volonte, “The Hills Runs Red” with Thomas Hunter, “Death Sentence” (1967) with Enrico Maria Salerno and “Wanted” (1967) again with Gemma. Secchi died last year on June 6, 2013 in Zoanno Ponte di Legno, Brescia, Italy. Today we remember Toni Secchi on what would have been his 90th birthday. Willy Dehmel was born on February 26, 1909 in Berlin, Germany. Dehmel studied Theatre in Berlin, where he also took acting lessons. His musical career began as a pianist in silent movie theaters and worked for various dance bands. In 1931 he began working as a lyricist with composer Franz Grothe, his cousin, and soon became his main lyricist. From this congenial cooperation they produced over 5 songs for films from 1933-1961. Among the most important performers they worked with included Marta Eggert, Willi Forst, Johannes Heesters, Lilian Harvey, Kirsten Heiberg, Lizzi Waldmuller and Marika Rokk. Dehmel co-wrote the score for one Euro-western, “Johnny Saves Nebrador” (1953) starring Hans Albers. 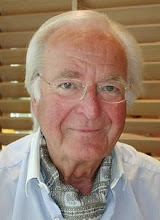 Since 1950 he was a member of the supervisory board of GEMA. He was also president of the German Lyricists Association. Dehmel died in Bad Weissee, Bavaria, Germany on June 15, 1971. Today we remember Willy Dehmel on what would have been his 105th birthday. The arrival of the Italian actress is expected later this month, under the director Boris Bulgarian. Italian actress Claudia Cardinale gets rolling in Almería like she did in 1966 in “Lost Command”, and in 1968 on “Once Upon a Time”. The beautiful actress returns to the province under the directing hand of Boris Bulgarian, starring in the film “Once Upon a Time in the Western “. The cast also includes Alex Brendemühl, Francesc Garrido and Francisco Conde and Almeria supporting actors in this film produced by the Bulgarian company Arthouse Blockbuster. Last year during the week of December 16 the director, Boris Despodov was visiting the different locations where the film is to be shot for few days in the province, and as a curiosity, the Bulgarian director tasted what Christmas was like in Almeria. Claudia Cardinale is expected to reach Almeria in late February, and in that moment the Almeria authorities have contacted representatives of the actress to offer her a morning star in “Boulevard of Stars” Facing the Teatro Cervantes. Claudia Cardinale received an emotional tribute in Almería in 2004, when she was awarded the prestigious ‘Almería, Land of Cinema’ award during the course of the Festival ‘Almería en corto’. The story of three bandits: a fool, a loudmouth and Chaco, with his gang, always on the run to "purify", one villain, "Oremus", who is currently in search of the Reverend Smith with the "Hallelujah” gang with four kids form a circus, thinking they are tough and smart they rob a bank. Cosi Sia, who falls for Clementine, the sister of the four boys, wants to rebuild the ruined circus of her deceased father. They succeed in their purpose by returning to the bank $300,000, stolen by "Oremus" and the four of his siblings of Clementine, and receive in return a cash prize of $3,000. 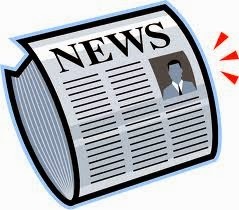 Thus, the new circus, the brothers, the Reverend Smith and "Amen" will earn an honest living. 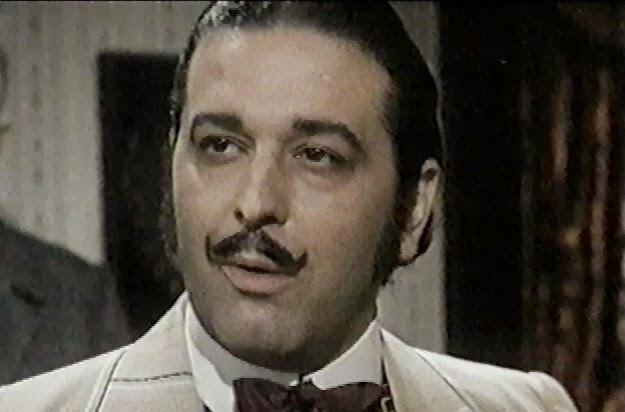 Bernard Breslaw was born on February 25m 1934 in Stepney, London, England. He attended the Coopers' Company's School in Tredegar Square, Bow, London E3. His father was a tailor's cutter and he became interested in acting after visits to the Hackney Empire. London County Council awarded him a scholarship to train at the Royal Academy of Dramatic Art where he won the Emile Littler Award as the most promising actor. 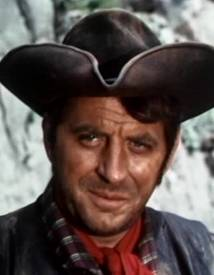 After Educating Archie on radio and The Army Game on television, more television, film and Shakespearean theatre roles followed, until his big break when he was cast in his only Euro-western “Carry on Cowboy” in 1965. He was featured as Varga, the lead villain in the 1968 Doctor Who story “The Ice Warriors”. Even though all the actors playing the aliens were over six feet tall, Bresslaw towered over them. 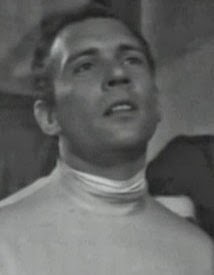 Sonny Caldinez, who played an Ice Warrior in the story, stated in a 2004 interview that Bresslaw "was the only man that could make me feel small." Although officially starring in 14 Carry On films, Bresslaw did appear in one other: “Carry On Nurse”. The legs of Terence Longdon were deemed to be too thin and scrawny looking, so Bresslaw's were used as stand-ins for the scene where Joan Sims gives him a bath. Bresslaw's catchphrase, in his strong Cockney accent, was "I only arsked" (sic), first used in TV’s “The Army Game” (1957-1961), and later revived in “Carry On Camping” (1969). 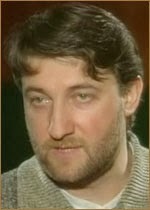 In his fleeting appearance as an angry lorry driver in the 1970 film “Spring and Port Wine”, his character was dubbed. Bresslaw, at 6 ft 7 in (2.01 m), was the tallest of the Carry On cast, head and shoulders over fellow Carry On regular, Barbara Windsor, who is 4 ft 10 in (1.47 m). Because of his height he was briefly considered for the part of the Creature in Hammer's “Curse of Frankenstein” (1957), which ultimately went instead to 6 ft 5 in (1.96 m) Christopher Lee. Bresslaw later made a comedy version of Dr. Jekyll and Mr. Hyde for Hammer titled The Ugly Duckling (1959). He made great efforts to prepare for roles, for example learning genuine Swahili phrases for “Carry On Up the Jungle” (1970). Bernard died of a heart attack on June 11, 1993 in London. Today we remember Bernard Bresslaw on what would have been his 80th birthday. 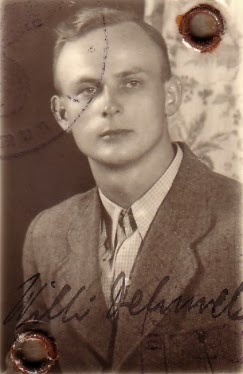 Josef Mach was born on February 25, 1909 in Proßnitz, Mähren, Austria-Hungary. Mach worked as a journalist and stage performer at the beginning of his career, then in 1938 was appointed assistant director of short films at Grafo Film Studio working with director Václav Kubásek. From 1946 Mach directed many feature films for Barrandov Studios in Prague. He is best known for his DEFA Euro-western “The Sons of Great Bear” (1966) starring Gojko Mitic. Mach died in Prague, Czechoslovakia on July 7, 1987. Today we remember Josef Mach on what would have been his 105th birthday. Pavel Abdavol was born Pavel Arsenio Abdaloff on February 24, 1964 in the U.S.S.R. He started his film work as a stuntman and then an actor and producer. He’s appeared in over a dozen film among which was an appearance in the Euro-western “A Man from Boulevard Capucines – 1987”. Today we celebrate Pavel Abdalov’s 50th birthday. Manuel De Sica was born on February 24, 1949 in Rome, Lazio, Italy. The son of director Vittorio De Sica [1901-1974]. While attending grammar school at the Institute of Nazareth in Rome, Manuel De Sica attended courses in theory at the Conservatory of Santa Cecilia, where he studied with Bruno Maderna. With some of his friends he formed the musical group ‘The Ancients’ which made a few TV appearances and recorded two 45s . His first chamber compositions were published by Ricordi with the involvement of Renzo Rossellini, artistic director of the Symphony Orchestra of Monte Carlo. In 1968 he made his first soundtrack for the film “Amanti”, directed by his father Vittorio. Immediately afterwards he composed the musical score for the Ugo Tognazzi television series ‘FBI - Francesco Bertolazzi investigatore’. At the same time he devoted himself to composing symphonic music and chamber music with harp sonatas for clarinet and other solo instruments. In 1974 he directed a television movie, ‘Io e Dio’, which sees his father among the performers. His activity as a soundtrack composer continues with films directed by Dino Risi and his son Marco, Carlo Verdone, Enrico Oldoini, Charles Vanzinas and many others, including his brother Christian. In 1989 Manuel De Sica was awarded the Golden Globe Foreign Press for the soundtrack of “Ladri di saponette” directed by Maurizio Nichetti. In 1992 he won the Silver Ribbon for “Al lupo al lupo’ by Carlo Verdone, followed in 1996 by the David di Donatello Award for the soundtrack of ‘Celluloide’ by Carlo Lizzani. His music has been performed by artists such as Salvatore Accardo, Enrico Dindo , Danilo Rossi, Floraleda Sacchi , Ensemble Wien Berlin , his songs have been interpreted by artists such as Ella Fitzgerald , Tony Bennett , Dee Dee Bridgewater. 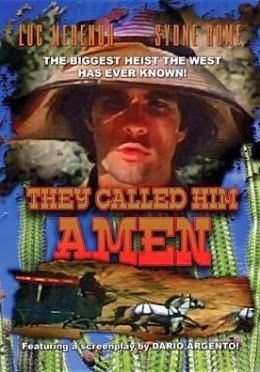 De Sica scored two Euro-westerns: “They Call Him Veritas” (1972) with Mark Damon and the 2011 TV series ‘Undead Men’. Today we celebrate Manuel De Sica’s 65th birthday. Marisa Mell was born Marlies Thères Moitzi on February 24, 1939 in Graz, Austria. She moved to Vienna and worked at the 'Academy Art of Max Reinhardt after making he debut in the theater she was immediately given a part in a German film “Das Licht der Liebe” (1954). By the early 1960s she had moved to Rome and appeared in the film that made he a screen legend “Diabolik” directed by Mario Bava in 1968. She was one of the most beautiful female faces of the Italian genre films of the sixties and seventies. She appeared in international production such as “Mahogany” with Diana Ross and was among the leading jet setters of Rome often seen at the night club Number One. Mell appeared in three Euro-westerns during her career: “The Last Ride to Santa Cruz” (1963) as Juanita, “The Ballad of Ben and Charlie” (1972) as Sarah and “Where the Bullets Fly also 1972 as Miss Dynamite. Her career became more sporadic during the 1980s before she died of throat cancer on May 16, 1992 in Vienna, Austria at the age of 53.
would have been her 75th birthday. Luigi Salvatore Montini was born on February 24, 1934 in Milan, Lombardy, Italy. Although he was born in Milan, he grew up in Rome, where he began taking small roles in stage plays which became his passion. He also participated in various dramas for RAI and Mediaset. In the 1990s he became a frequent face in both commercials and TV dramas such as ‘Doctor Who’ in the role of Carlo Foschi (1998 to 2007) and in the fictional ‘Marshal Rocca’ 1996 , 2003, 2005. In 2007 he participated in various roles in the drama as with Veronica Pivetti in ‘Provaci ancora prof’. In 2008, he participated in the television series ‘I Cesaroni’ in the role of Dr. Zorzi. 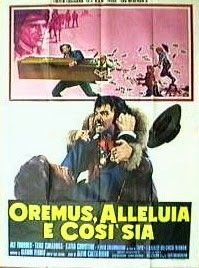 Montini appeared in one Euro-western as Al Costello in the 1973 film “Behold the Strange, Stimulating Smell of Dollars”. As a voice actor he was the voice of Mr. T and narrated documentaries like the one on the X-Mas. Today we celebrate Luigi Montini’s 80th birthday. Francisco Braña Pérez was born on February 24, 1934 in Pola de Allande, Asturias, Spain. As a young man he worked as a miner to support the family, and became ill with silicosis. He began his career as an extra in the spaghetti westerns so fashionable in the 1960s, from which he suffered numerous injuries. “Golpe de mano” (“Surprise Attack”) (1970) was the most successful film of his career, appearing more than six months on the Gran Vía, has also acted in numerous television series and was certainly one of the greats of Spanish cinema, he worked with great actors like Fernando Rey, Francisco Rabal and Eduardo Fajardo, besides knowing a large number of internationally renowned artists such as Clint Eastwood, Henry Fonda, Charles Bronson, Claudia Cardinale, Jason Robards, Oliver Reed, Terence Hill and Bud Spencer. 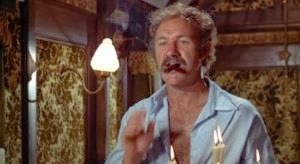 Brana appeared in over 60 Euro-westerns during his 50 year career from “Apachey Fury” in 1963 to “Tex and the Lord of the Deep” in 1985. During his career he won several awards including the University of Navarra 's Best Actor Award for the short film : “The Old Man and the Sea” by screenwriter and director Enrique Rodriguez. One of the Spanish artists most demanded by American films, he acted for various American productions in more than 60 films since he was among the few Spanish actors speaking English. 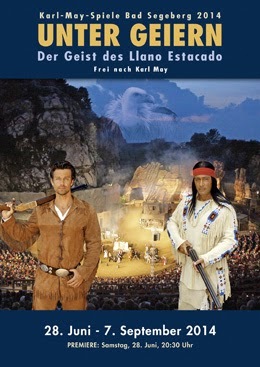 The actor was honored the Western Festival Western of Almeria in September 2011. Brana although weakened by his silicosis continued to work until the end of his life on February 13, 2012 in Madrid, Spain. He received the Award of Honor posthumously 8th Asturian Film Festival held in Oviedo -Oviedo in 2013. Today we remember Frank Brana on what would have been his 80th birthday. Riccardo Freda was born on February 24, 1909 in Alexandria, Egypt to a Neopolitan family. He left studies in Milan in 1933 and entered the Experimental Center for Cinematography and soon began work as a screenwriter for film directors like Goffredo Alessandrini and Raffaello Matarazzo. Freda's greatest horror films were his two 1960's titles, “The Horrible Dr. Hichcock” (1962) and “The Ghost” (1963), both of which starred Barbara Steele, but he really enjoyed doing the adventure films a lot more. He directed Anton Diffring and the legendary Klaus Kinski in giallos later in the decade, and then pretty much retired from filmmaking in 1972, inexplicably emerging from his retirement in 1981 to direct one last slasher film, “Murder Obsession” (aka “Fear”). He was married to actress Gianna Maria Canale [1927-2009] (1948-1999) and died in Rome of natural causes at 90 on December 20, 1999. Today we remember Riccardo Freda on what would have been his 105th birthday. 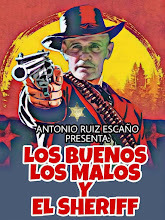 An ex-sheriff comes back to town and finds his sister left by bandits dead in the middle of street. He turns bounty hunter and begins to eliminate the gang one by one. The leader of the gang wears a black hood and only communicates with his henchmen by the use of hand signs which are translated by an Indian. Not only does he get his revenge he releases the town from the grip of their terror. We continue on our search for filming locations for “Return of the Seven”. During the night the peons have fortified the church and the following day they all prepare for an attack by Lorca and his men from the direction he rode out. We see the location of exterior set in Agost from a different vantage point and a look at the hills that surround part of the deserted church and town. Nothing but emptiness remains today as the location has returned to nature. 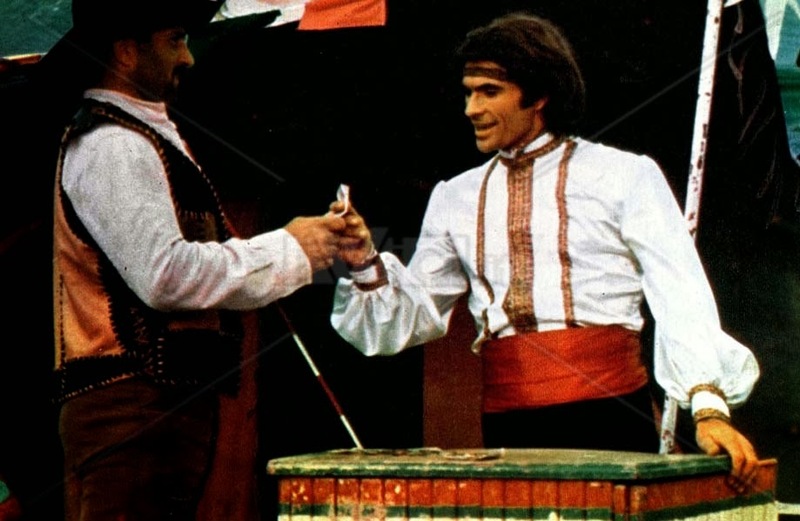 The great Bulgarian actor Djoko Rosic died on February 21, 2013. He was 81 years-old. Suffering from a brain tumor, he had an operation a few weeks ago in Pirogov but his condition remained very serious, the last few days it had worsened even more. Born on February 29, 1932 in Krupani, Serbia, his mother was Bulgarian and his father Serbian. Born in the former Yugoslavia, he moved in 1951 to Bulgaria. Graduating from the School of Economics and radio journalism, he then worked 17 years as a journalist in radio. He starred in Bulgarian, Hungarian and Serbian movies. He was sometimes called the "legendary cowboy." He appeared in over 100 films during his career. Among them was one Euro-western “Death for Zapata” (1976) as Bathasar. Carlos Romero Marchent was born on February 22, 1944 in Madrid, Spain. The son of author and screenwriter Joaquin Romero Marchent, he was the brother of Rafael Romero Marchent, director of many spaghetti westerns in the 1960s and 1970s, the director and screenwriter Luis Romero Marchent Joaquín , and Ana Maria Romero Marchent production manager. Carlos was the actor in the family and began his career in the late 1950s appearing in “Saeta rubia” (1956) then such productions as “Un fantasma llamado amor” (1957) “El hombre del paraguas blanco” (1958). In the 1960s his career continued and he appeared in over 15 Euro-westerns such as “Zorro's the Avenger” (1962) “Dollars for a Fast Gun” (1965) and “Cut-Throats Nine” (1970) In the late 1970s he participated in TV serials like 'Curro Jiménez’ (1977-1978), where he played the role of Gaston, and 'Cañas y barro’, as Sangonero. Carlos died on August 19, 2013 in his hometown of Madrid, Spain. He was 69. Today we remember Carlos Romero Marchent on what would have been his 70th birthday. Furio Meniconi was born on February 22, 1924 in Rome, Lazio, Italy. The brother of producer Nello Meniconi [1911-2002], actor Mario Meniconi [1912-1984], make-up artist Alfio Menicono [1924- ]. His family was very active on movie sets and he had a continuous presence with the the casts, technicians, or engaged in the general organization of a movie. Furio became active as a character actor and appeared in a lot of films beginning in the early 1950s. He soon established himself as one of the faces which were fixed in Italian movies. Tall, with a robust physique, brown, shaggy hair, a face perpetually sullen, Furio Meniconi was certainly one of the pillars of that group of unheralded supporting actors. He found much work in spaghetti westerns, Sword and Sandal and adventure movies. He Americanized his name in many films transforming it into Men Fury. He remained one of the busiest but least appreciated characters of Italian cinema, portraying the roles he was entrusted with, with much effort and sincere honesty. 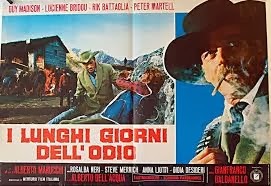 Meniconi appeared in over 30 Euro-westerns between 1966’s “Fort Yuma Gold” with Giuliano Gemma and 1975’s “The Genius” with Terence Hill. Father of film editor Enzo Meniconi [1950- ], uncle of make-up artists Marcello Meniconi [1950- ] and Mauro Meniconi [1960- ], he died in Rome, Lazio, Italy on December 12, 1981. Today we remember one of the great character actors of the Euro-western genre Furio Meniconi on what would have been his 90th birthday. Angelo Francesco Lavagnino was born into a family with musicians on both sides on February 22, 1909 in Genoa, Liguria, Italy. Attracted to the sight and sounds of a live theater orchestra, he first discovered film music as a boy during the silent era. He later attended the Giuseppe Verdi Conservatory of Music in Milan, where he studied composition under Renzo Bossi. He graduated in the early 1930s and, in the years that followed, he composed several symphonies, a large body of chamber music, a small group of symphonic poems, and one opera. He was also a teacher at the Accademia Musicale Chigiana in Siena between the ages of 32-53. Lavagnino began composing music for films in the early '50s, and by the time he'd retired two decades later, had amassed credits for some 300 movies, including Orson Welles' “Othello” (1952) and “Chimes at Midnight” (1966), the science fiction thriller “Gorgo” (1961), the fantasy film “Lost Continent” (1955), the adventure yarn “Legend of the Lost” (1957), and costume epics such as “The Last Days of Pompeii” (1960). Lavagnino had a special gift for melody and a talent for orchestration that manifested themselves in the best of those scores, particularly “Gorgo” - whose folk-based soundtrack is often referred to as the prettiest score ever to grace a dinosaur movie - and “Legend of the Lost”. 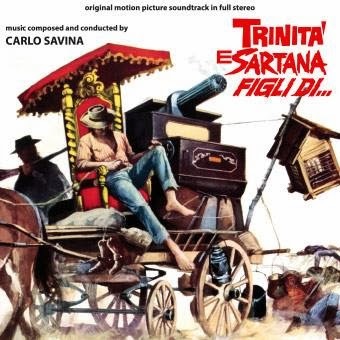 Lavagnino was very nearly the choice of Sergio Leone to score “A Fistful of Dollars” (1964) - having composed the music for the director's “The Last Days of Pompeii” (1959) and “The Colossus of Rhodes” (1961). Leone was favorably disposed toward him, but the insistence of Leone's distributor that he meet with Ennio Morricone led to the revelation that they had attended grammar school together, so the director gave the assignment to Morricone. 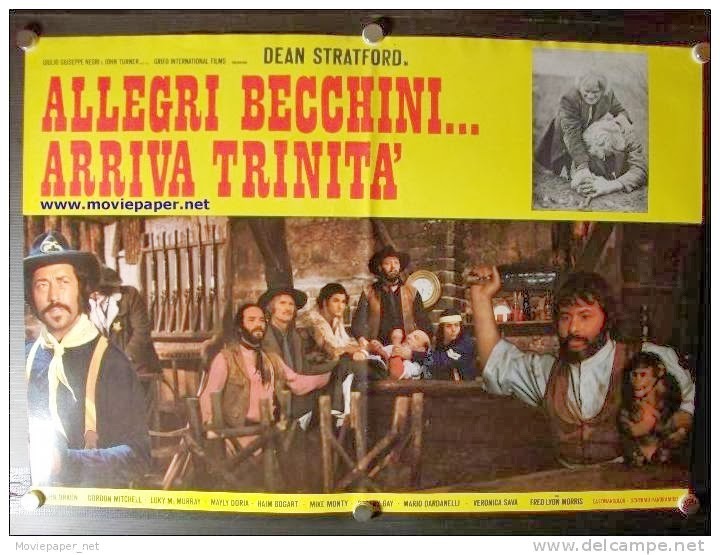 Despite losing that job, Lavagnino remained one of the busiest screen composers in England, and continued working until the mid-1970s on films that included his fair share (23) Euro-westerns. Today we remember one of the great Europ-western composers, Angelo Francesco Lavagnino on what would have been his 105th birthday. Josef Egger was born on February 22, 1889 in Donawitz, Styria, Austria-Hungary. Egger was the secretary (1907) and bureau chief (1908) at the Municipal Theatre of Leoben, where he also took on small stage roles. He opted for the acting profession and then played among others in Linz. In 1915 he was engaged at the Raimund Theater in Vienna. In the 1920s Egger took part in mostly comic roles in operettas and stepped on stage at the Raimund Theater in Vienna. In the early 1930s, he appeared at the Deutsches Theater in Munich. At this time he received his first film offer. He often appeared in small supporting roles with actor Hans Moser, such as a bailiff in “Schrammeln” (1944), an usher in “Liebe ist zollfrei” (1941), a postman in “Der Herr Kanzleirat” (1948). Characters with a Czech accent were his specialty. In his few leading roles, such as “Der Hofrat Geiger” (1947) or in Geza von Bolvarys “Die Fledermaus” (1946), he could show that he had a lot of character originality, but in the era of Hans Moser was used just used as an old codger . 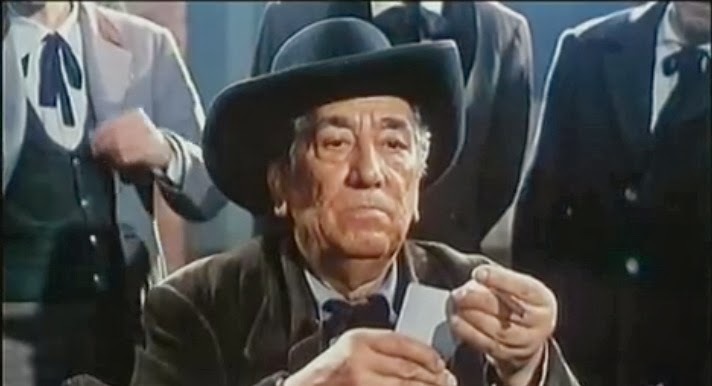 At the end of his career Josef Egger played the most famous old codger in Euro-westerns as Piripero the coffin maker in “A Fistful of Dollars” (1964) and the quirky old prophet in the sequel “For a Few Dollars More” (1966). 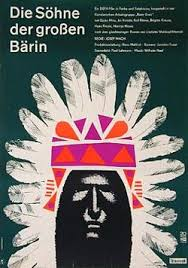 Egger appeared in five Euro-westerns before his death on August 22, 1966 in Gablitz, Wien-Umgebung, Austria. Today we remember Josef Egger on what would have been his 125th birthday. I’m an American actor born in San Bernardino, California in 1931. Although I appeared in almost 100 films and TV appearances I made only one Euro-western. Now retired from acting, I’m now a fiction writer. il dottore correctly identified this week's photo as that of Gene Hackma. Every member of a gang has a specific role among which is double-crossing each other. It all leads to one big brawl, in which Smith makes his way through a saloon full of customers, who he dispenses with pretty easily. During the brawl a schoolmistress makes off with the money. Peter Lee Lawrence was born Karl Hyrenbach on February 21, 1944 on Lindau Island, Bodensee, Bavaria, Germany. Karl had three sisters and two brothers. He lived in Nice, France for several years with his mother and then moved to Rome, Italy with his wife and Karl [1965- ]. He was also cast in photo novels under the name Pierre Clément. He started his film career as the brother-in-law of Lee Van Cleef in “For a Few Dollars More”. He went on to star in 16 more Spaghetti Westerns from 1967 to 1973. He was also credited in several of these films as Arthur Grant. Some of these films were huge hits in Europe including “Killer Caliber .32” (1967), “Days of Violence” (1967), “The Fury of Johnny Kid” (1967), “A Few Bullets More” (1967), and “Killer Adios” (1968). He was a particularly popular actor in Cuba. He married actress Cristina Galbó [1950- ] in 1969 and the two appeared in several films together and had a son named David in 1970. In 1972 Lawrence began suffering from headaches. Once filming finished on “Los Caballeros del Botón de Ancla” in 1974, he was admitted to the Foundation Jimenez Diaz Hospital in Madrid, where he was operated on by Dr. Sixto Obrador. The surgery was a success, but the biopsy report revealed it was glioblastoma. He moved to Zurich, where, under the auspices of Professor Wolfgang Horst, he began both chemo and radium treatment. On the 25th of March 1974, Lawrence was admitted to the Villa Stuart Clinic in Rome with severe stomach pains. He died on Saturday, April 20, 1974, at ten past three in the morning. Rumor has persisted for years that because of the brain tumor he had committed suicide but this is false and his death in the Rome hospital has been confirmed by his wife Cristina Galbó and his son by his first marriage Karl Baudoin. In all Peter appeared in over 25 film, 17 of which were Euro-westerns in his short nine year film career. 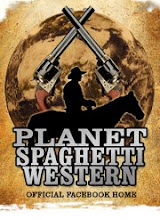 He rose to be one of the major stars of the Spaghetti western genre and is remembered with great fondness by many fans throughout the world. Today would have been his 70th birthday.